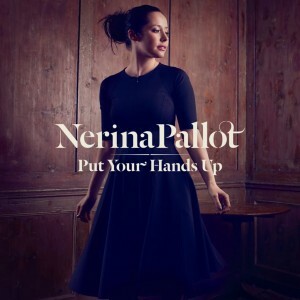 We’ve been loving ‘Put Your Hands Up – the new single from British songstress Nerina Pallot. It’s the first tune lifted from her forthcoming album ‘Year Of The Wolf’, which is due for release overseas mid-way through next month. But whereas the original version of the single is organic and uber-cool, the ’80s kids are going to be winding back to the days of high perms, balloon skirts and West Coast Coolers over the new ‘Put Your Hands Up (Like It’s 1987)’ remix. Though it’s not got the ‘Stock Aitken Waterman’ moniker attached to it, it might very well have been ripped from the halls of PWL, with retro instrumentation at ten paces. Sadly, we still can’t buy this on our local iTunes stores. Who’s gonna make our 1987 dreams come true and get this available locally? I can’t wait for this album! Shame I’ll have to import it.